如果我们要用"philosophy" (哲学)这个概念来定义不管是欧洲还是非欧洲的思想者，我会认为齐泽克或许是今天最重要的欧洲哲学家，但他的工作对于很多人来说相关性不如牙买加哲学家 Lewis Ricardo Gordon，伊朗哲学家Seyyed Hossein Nasr，中国哲学家汪晖，埃及哲学家 Nawal El Saadawi和拉丁美洲哲学家Enrique Dussel. Walter D Mignolo is William H Wannamaker Distinguished Professor and Director of the Center for Global Studies and the Humanities, Duke University. The exchanges between Santiago Zabala and Hamid Dabashi published in Al Jazeera brings about one of the crucial issues of the 21st century: the increasing process of re-westernisation (the revamping of Western ways of thinking, from Christianity to Liberalism and Marxism), de-westernisation and decoloniality in all sphere of life, politics, economy, religions, aesthetics, knowledge and subjectivity. The exchange focuses mainly in the last two. 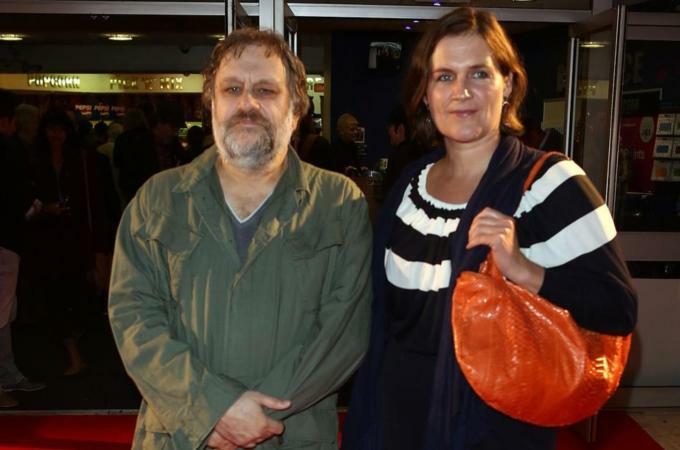 The exchange was prompted by Zabala's article on the role of the philosopher celebrating Slavov Zizek. In his response, Dabashi took up on the meaning differential between the names of Western philosophers and the countries where non-European philosophers are supposed to dwell or "come from" to Euro-US academy. Zabala's responses to Dabashi opted to emphasise Zizek's refreshing Communism. I will focus on the issues that emerge in the borders of the exchange. I am, after all, a border and decolonial thinker. The response by Hamid Dabashi to Zabala's article on the role of the philosopher, contributed to the circulation of the piece in areas of the public domain where it would not have otherwise been circulated. Dabashi's response was a reflection on the initial paragraph of said article on Zizek written by Santiago Zabala. There are many important and active philosophers today: Judith Butler in the United States, Simon Critchley in England, Victoria Camps in Spain, Jean-Luc Nancy in France, Chantal Mouffe in Belgium, Gianni Vattimo in Italy, Peter Sloterdijk in Germany and in Slovenia, Slavoj Zizek, not to mention others working in Brazil, Australia and China. Dabashi's strategy parallels his argument: he doesn't mention the name of the article's authors. Dabashi's silence brings to the foreground the meaning of naming. His response is a sign among many that we, on the planet, are living a change of epoch rather than in an epoch of changes. The change of epoch is announced, in the sphere of knowledge, in the process of delinking from long lasting effects of epistemic colonial and imperial differences. According to this frame, Native Americans have wisdom and Anglo-Americans science; Africans have experience and Europeans philosophy; the Third World has culture and the First World social sciences, including anthropology who study the cultures of the Third World; Chinese and Indians have traditions, Europeans modernity; Islam dwells in religion, Europeans in secularism. Those beliefs in such hierarchies are gone among a growing number of non-European scholars, intellectuals, thinkers, activists. This is for me the implicit call made by Dabashi. I read Zabala's article on the role of the philosopher not because I am interested in Zizek (I am not), but because it was Santiago's article. We coincided in several conferences over the past three years, listened to each other, talked to each other and established an email correspondence and exchange of articles. My readings of continental philosophy are not in search of guiding lights to deal with issues of non-European histories, but an interest in what are "they" thinking, what are "their" concerns, what are "they" up to. I spend most of my time engaged with non-European thinkers. It is from the light and guidance I've found in non-European thinkers that, when necessary, I engage with European philosophers. One example is "A Leftist Plea for 'Eurocentrism'" (1998). When one says Eurocentrism, every self-respecting postmodern leftist intellectual has as violent a reaction as Joseph Goebbels had to culture - to reach for a gun, hurling accusations of proto-fascist Eurocentrist cultural imperialism. However, is it possible to imagine a leftist appropriation of the European political legacy? When one says Eurocentrism, every self-respecting decolonial intellectual has not as violent a reaction as Joseph Goebbels had to culture - to reach for a gun, hurling accusations of proto-fascist Eurocentrist cultural imperialism. A self-respecting decolonial intellectual will reach instead to Frantz Fanon: "Now, comrades, now is the time to decide to change sides. We must shake off the great mantle of night, which has enveloped us, and reach, for the light. The new day, which is dawning, must find us determined, enlightened and resolute. So, my brothers, how could we fail to understand that we have better things to do than follow that Europe's footstep." With these comments, I do not intend to dispute Zabala's evaluation of Zizek as a philosopher. What I am saying is that we, decolonial intellectuals, if not philosophers, "have better things to do" as Fanon would say, than being engaged with issues debated by European philosophers. The question raised by Dabashi is not new among us, thinkers of the ex-Third World (even if some or many of us are based in the US). Saying that it is not new, I am not implying that Dabashi's response is outdated. I mean that the issues at hand were debated in Africa, the Caribbean and South America at least since the late 50s and 60s. But they were debated "among us" and not "with them". Now the differential of epistemic power has begun to be debated among "us" both, non-European thinkers and European philosophers. The exception in the domain of diplomacy was Kishore Mahbubani who raised the issue in his polemical book Can Asians Think? (1999). Now, if we want to use the term "philosophy" to identify thinkers whether European and non-European, I would say that while Zizek may be the most important European philosopher today, his work is less relevant for many people than the work of Jamaican philosopher Lewis Ricardo Gordon; Iranian philosopher Seyyed Hossein Nasr; Chinese philosopher Wang Hui; Egyptian Nawal El Saadawi; and Latin American philosopher Enrique Dussel. And if behind Zizek there is Derrida in continental philosophy, behind Gordon is Fanon in Africana philosophy; behind Seyyed Hossein Nasr is Ali Shariati in Muslim philosophy, behind Wang Hui there is Lu Xun in Chinese philosophy, behind El Sadawi the legacies of Muslim falsafa and behind Dussel is Rodolfo Kusch in Latin American philosophy. Relevance is not universal, but depends on the universe of meaning and the belief system under which relevance is determined. We have here a pluriversal world of thinkers and philosophers in the process of de-westernising and decolonising the imperial legacies of Western philosophy. The question of philosophy in the non-European world has been and is a vexing one. African and Latin American thinkers trained in philosophy debated, around the 1970s, this crucial question: "Is there an African/Latin American philosophy?" This question would have been unthinkable in Germany during the same years. Western philosophy traps African philosophy in a double bind: either African philosophy is so similar to Western philosophy that it makes no distinctive contribution and effectively disappears; or it is so different that its credentials to be genuine philosophy will always be in doubt. (Bernasconi 1998, 188;Postcolonial African Philosophy: A Critical Reader). This is simply the entanglement and the puzzle that tormented thinkers with an academic training in philosophy in Africa, South America and the Caribbean. 1. "The looming threat of ecological catastrophe." 2. "The inappropriateness of the notion of private property for so-called 'intellectual property'." 3. "The socio-ethical implications of new techno-scientific developments (especially in biogenetics)." 4. "New forms of apartheid, new walls and slums. In the past two decades, I have heard a lot about the four points mentioned by many different people, if not philosophers, serious thinkers and doers. I am not suggesting that Zabala is saying that Zizek is original in thinking about these issues, but that is it very important that Zizek is bringing these issues to the European philosophical debate. For it would be an unnecessary arrogance to think that the world, particularly the non-European world, needs Zizek to tell us that the world is on fire. For Zabala, "Being a communist in 2012 is not a political choice, but rather an existential matter. The global levels of political, economic and social inequality we are going to reach this year because of capitalism's logics of production not only are alarming, but also threaten our existence." Now, recognising the problems doesn't mean that the only way to go is to be communist. However, as we know from history, the identification of the problem doesn't mean that there is only one solution. Or better yet, we can coincide in the prospective of harmony as a desirable global future, but communism is only one way to move toward it. There cannot be only one solution simply because there are many ways of being, which means of thinking and doing. Communism is an option and not an abstract universal. At the same time, it is necessary to recognise that, in Europe, communism is one strong option. Perhaps not the option for immigrants from Asia and Africa (perhaps yes for migrants from Latin America, mostly of European descent) would choose or that Tariq Ramadan (European Muslim and Muslim philosopher) will promote. But certainly, it is an unavoidable choice in Europe: it was in Europe, after all, that communism originated. In the non-European World, communism is part of the problem rather than the solution. Which doesn't mean that if you are not communist, in the non-European world, you are capitalist. A case in point today would be Bolivia. The Bolivian State formula "Communitarian socialism" is rejected by CONAMAQ (Consejo Nacional de Ayllus y Markas del Qullasuyu), an organisation led by Aymaras and Quechuas, who are working on the reorganisation of Ayllus and Markas of Tawantinsuyu. I do not have space here to explain what all of this means (which is precisely a problem of Eurocentrism - occupying space and silencing whatever doesn't fit the interest of the European, from the right or from the left), but basically it means that there is a way of being based on the communal, on the prospect of harmony grounded in the history of Andean civilisations and not in European history. So the fact that Zizek, and other European intellectuals, are seriously rethinking communism means that they are engaging in one option (the reorientation of the Left) among many, today, marching toward the prospect of harmony overcoming the necessity of war; overcoming success and competition which engender corruption and selfishness, and promoting the plenitude of life over development and death. In sum, the exchanges of ideas - in this publication - between Santiago Zabala and Hamid Dabashi, brings to the foreground a fundamental issue in building global and harmonious futures. The growing convictions of the failure of neo-liberalism in the non-European world parallels the growing conviction of limits (at the same time the value) of continental philosophy. Sartre summarised it all in his prologue to Frantz Fanon's The Wretched of the Earth (1961), when he states, addressing a French and European audience, "listen, pay attention, Fanon is no longer talking to us". Walter D Mignolo is William H Wannamaker Distinguished Professor and Director of the Center for Global Studies and the Humanities, Duke University. His most recent book, The Darker Side of Western Modernity: Global Futures, Decolonial Options (2011, Duke UP) is the third of a trilogy that includes The Darker Side of the Renaissance: Literacy, Territoriality and Colonization (1995, Michigan UP) and Local Histories/Global Designs: Coloniality, Subaltern Knowledges and Border Thinking (2000, Princeton UP).